There several factors that contribute to road degradation over time. These factors can shorten the lifespan of the road; therefore need maintenance and period repairs. The repair processes include seal coating, slurry coating or even asphalt overlays. However, to carry out the asphalt overlay process, milling is required. 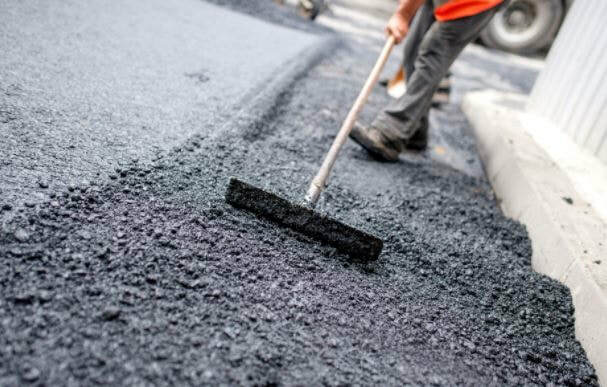 An asphalt overlay is a process of adding an asphalt layer, about an inch or three on the milled road surface.Pavement milling, also known as cold planning is the removal process of the asphalt layer on the pavement or road. It is done by use of an asphalt milling machine. The Wirtgen asphalt milling employs the use of a rotating cylinder or drum, that has scrolls and tool holders. The tools are made of carbide, and they grind on to the asphalt causing the milling action. The milled asphalt and gravel are then collected on a conveyor belt that works helps in its collection.The micro milling or a small asphalt machine is a cheaper option to the actual milling. It works similar to the more prominent machine only difference is shallow milling. Its drum has more carbide tools, as much as four times. It results in an even milled surface than the bigger mailing machine. At South Bend Sealcoating Company, we provide asphalt milling machines rental services to those who would need the services without purchasing the equipment.Some repairs that require milling of the pavements and driveways include fixing of ruts, ravelling, shoving, and potholes, construct rumble strips that help improve the user experience and safety too. The milled asphalt or concrete is sometimes recycled and reuse.A well-designed and constructed driveway should be able to hand the expended weight without any failure. The road should be wide enough to allow vehicles maneuver quickly and if a foot walks, it should be wide enough for two people to walk by past each other. The thickness of the base material for the foundation depends on the area. The thickness of asphalt or concrete should range between 45mm to 75mm thick. Several factors influence the cost of the pavement milling services. • The area to be ground in square footage. An asphalt driveway is cheaper compared to the concrete pavements due to several factors. Besides the concrete having a longer lifespan than asphalt, it gets costly due to its mode of construction and its limitations in repairs. Asphalt, on the other hand, is cheaper due to its simplicity in installation, repair and maintenance and it can be recycled. ​Some factors affect the overall cost of paving. • Choice of the paving material, asphalt or concrete. At South Bend Sealcoating Company, have been in this business for several years and you can be sure to get the best of milling services. Just contact us through email, mobile phone or any social media for more information or to get a free quote.